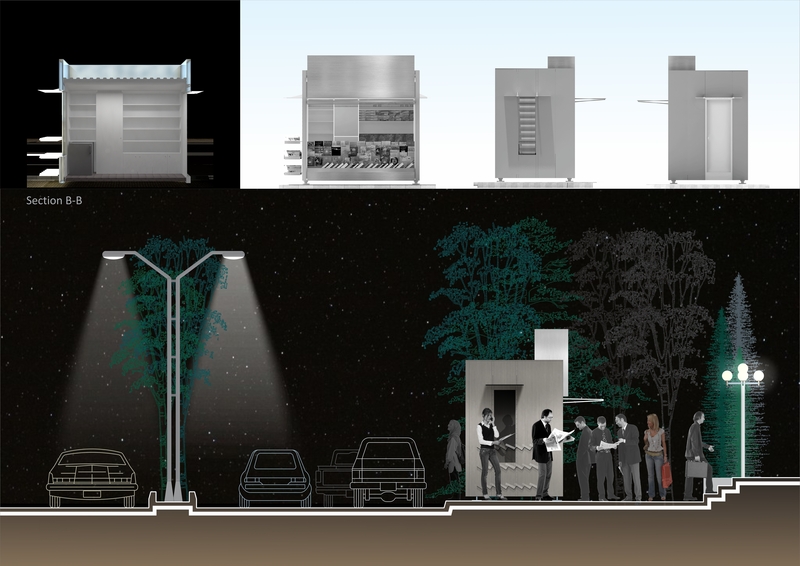 Unsatisfied from existing newsstands, the client sought for an urban element and architectural space rather than an industrial production. Users requirements (extracted through inquiries), municipal regulations, financial and technical issues were studied. Finally, from three provided alternatives the client selected this one. As a mass production, it is designed to provide enough flexibility with regard to the various ways of offering different stuffs, mostly magazines and newspapers. Owner can also choose different accessories. The variety of these details in addition to its finishing can provide the variation, in spite of its general similarity throughout city. When closed, it still serves as an urban element. 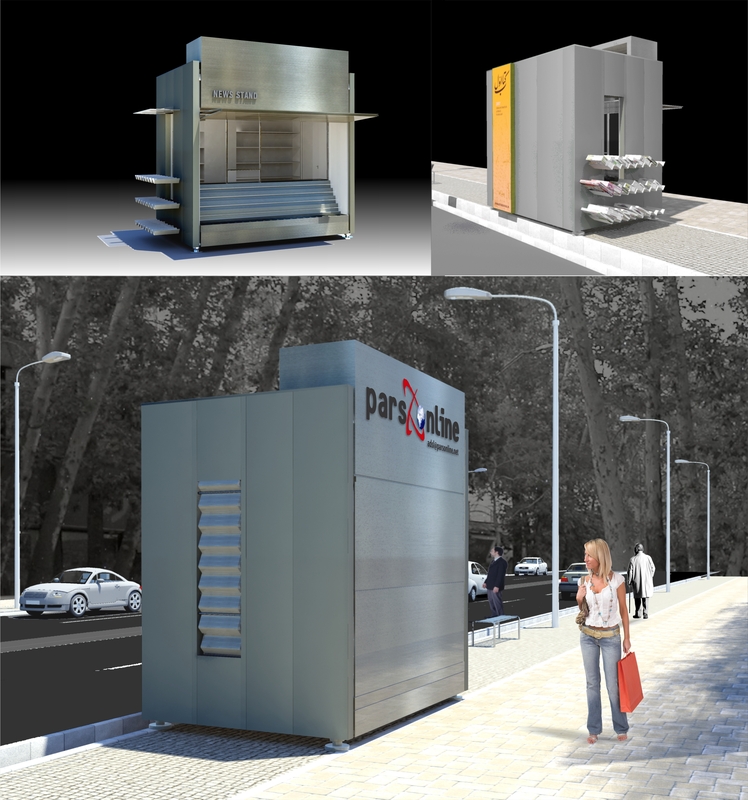 It especially plays an important role in terms of advertisement, not only for improving the urban function of this element, but also because this is a financial method for encouraging kiosk owners to replace their old newsstands with new ones. 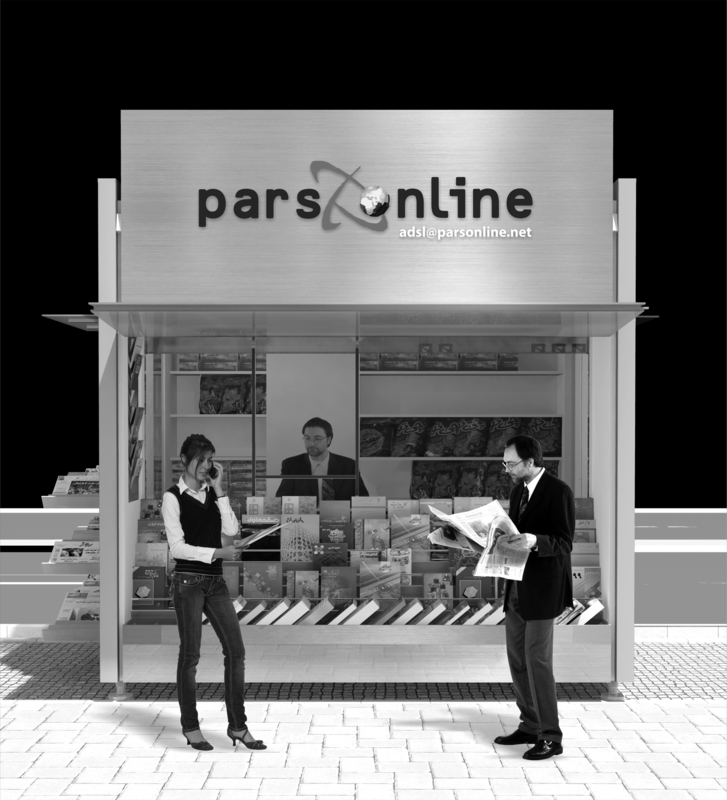 More over, this newsstand is designed to provide necessary facilities for temporal habitation which often occurs.